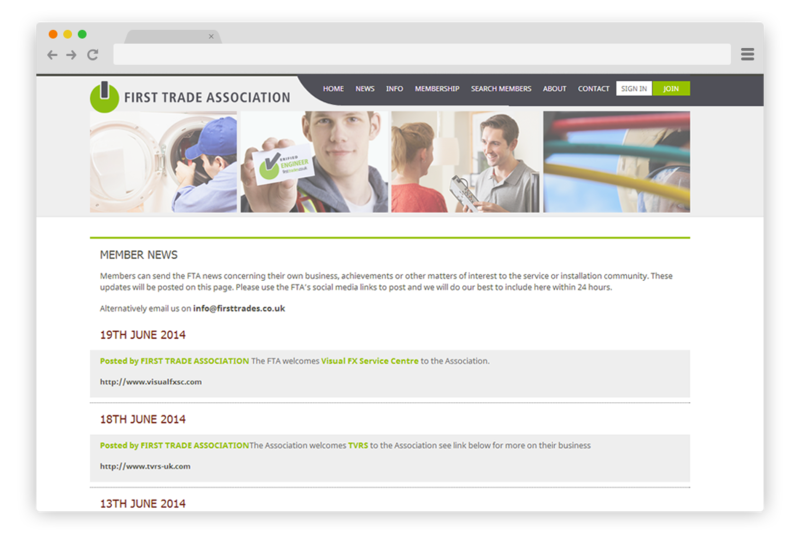 The FIRST Trade Association (FTA) represents professional service, installation and repair organisations. The FTA is a not for profit body that seeks to be independent and impartial whilst acting as a forum for its members to freely exchange their views, experience and technical know-how. 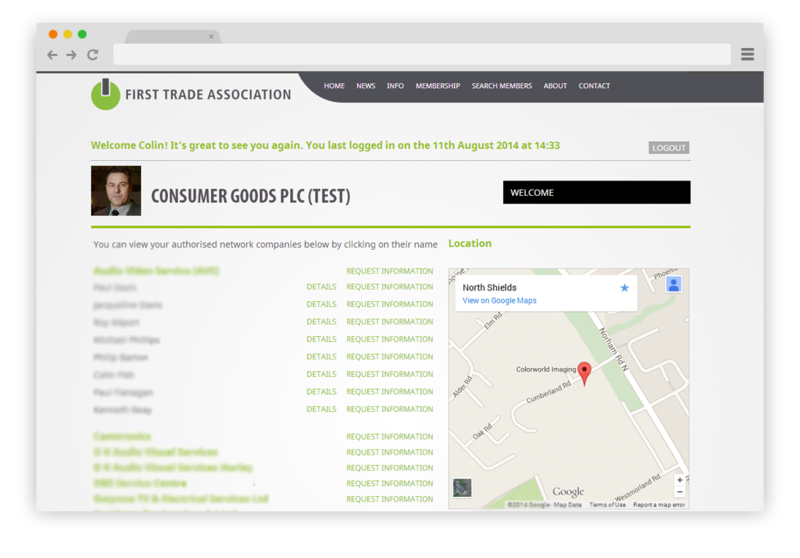 The FTA solution was one that would both be an easy way for members to update details, post news items and be found by other industry members on the 'search members' interactive map. The other role of the solution was to have an administrative CRM that would control renewals and other CRM activities. 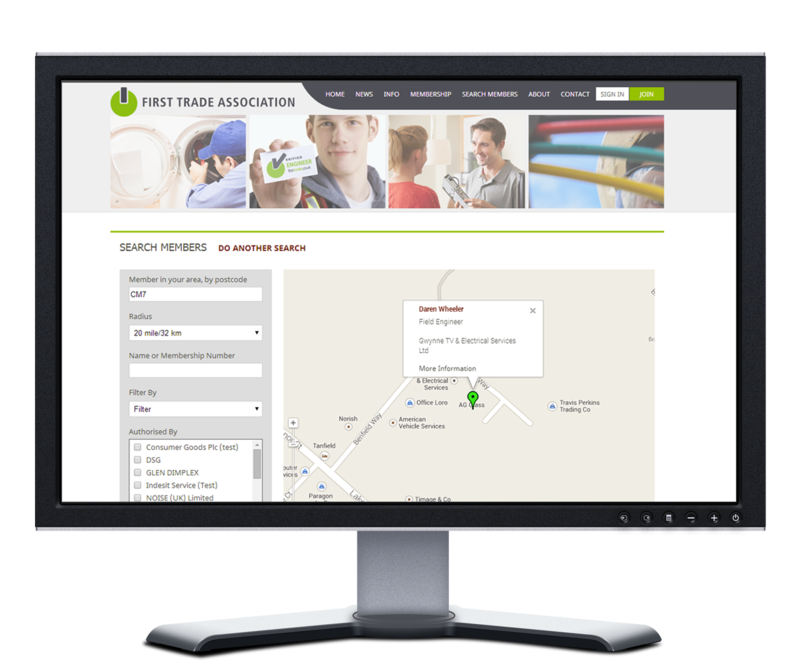 The backend used a CRM (customer relationship management) system to store all members’ information and activities- using this we could feed data to the front end and visa versa (using the front end to update information for the backend). This also controlled membership renewal and statuses. We designed two forms of membership logons. The first was for the verified member to update details, post news or questions to the site or upgrade membership. The second view was for a supplier to see their authorised companies and engineers and to request for a company to become an authorised company.